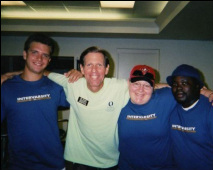 Welcome to the website for InterVarsity in Southwest Florida. Thanks for dropping by to check us out! potential for its future; and challenge you as to how He might be calling you to help the mission advance.